Tony Watkins is a Real Estate Professional currently licensed with Berkshire Hathaway HomeServices Select Properties located In the South County office. 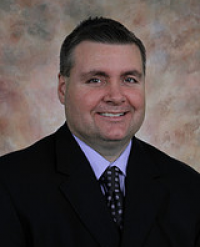 He is a short sale specialist and is the owner of STL Short Sale Specialist LLC. Tony has been a full time Short Sale Specialist since 2009 when he would negotiate the purchase of his own properties and then resell them for a profit. In 2011, he decided to get his real estate license so he could help other agents with their short sale deals. From 2011 to 2016, Tony has helped multiple agents successfully close on their short sale deals. In 2013, he teamed up with another successful agent at another large brokerage firm and together they took over as the leading short sale team in the area. the country. Jeff Watson had input along with lobbyist John Grant on Capitol Hill in 2011 when Freddie Mac & Fannie Mae were setting the rules for short sale investing. Tony has also received training from Short Sales Redefined, a well‐known Chicago company that closed hundreds of deals in the Chicago area. And finally, Tony has also participated in the Certified Distresses Property Expert program (CDPE). Sellers never pay him anything. Agents keep full lender approved commission. No Minimum for house value—1k to 999k eligible for his services. He makes communication a priority. You will always be updated and know what’s going on. He will always fight for you and your clients. He never gives up. You have nothing to lose by calling Tony Watkins. The next time you have a possible short sale listing, call Tony at 314‐971‐0079 to see how he can help.